Do you know when Moe from the Three Stooges walks into a room and proceeds to slap five people in the face with one swoop of the hand? I sometimes feel like that when on vacation. The $12 cheeseburger. $20 parking just to access a public beach. A t-shirt with logo for $26.95. Vacation town gas stations charging 20 cents more per gallon. $4 for a small scoop of “homemade” ice cream — shipped from a factory. Don’t put up with this nonsense when vacationing in New England, or any other place for that matter. You have worked hard for your money and deserve not to be ripped off when enjoying those precious few days of rest and relaxation. You need to get Moe for your money when traveling (sorry for the pun). So, welcome to our little mom and pop blog where we and other people that love New England share their cheap travel ideas and budget travel tips for New England. 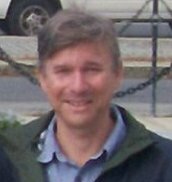 My name is Eric, a lifelong New England “local,” with many years of journalism and mass communications experience in the public and private sectors. I love New England, travel and writing and am more than happy here to serve you by sharing the best cheap travel ideas in New England. We know the economy remains tough — no matter what the stats state — and you’re trying very hard to stick to your budget, so we thought “Why not come up with a blog that offers ways to travel and vacation more and spend less on your New England travel? That’s exactly what we did — to help you find hundreds of cheap travel tips in New England, including day trips, budget vacations, free things to do, cheap eats and affordable hotels. 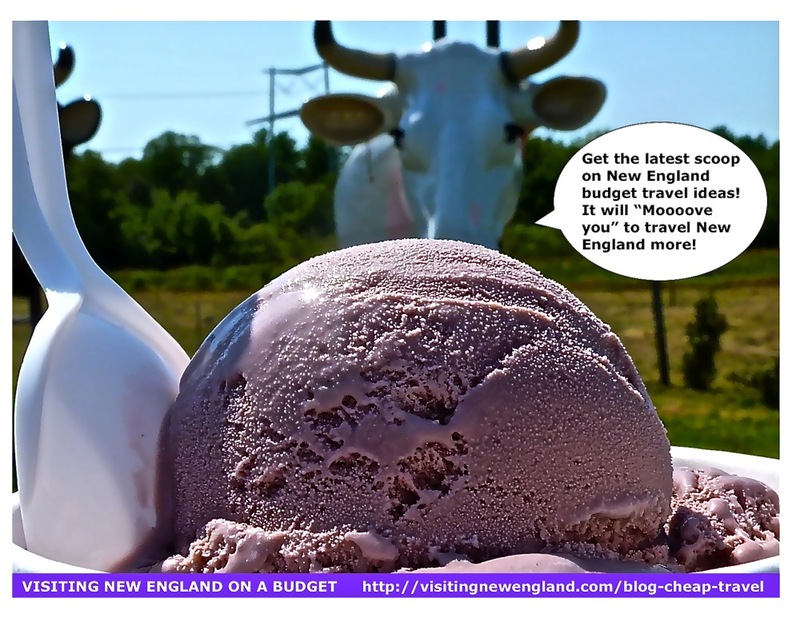 Often, blog ideas are born from personal experiences and the Visiting New England on a Budget blog is no exception. We are hard-working New Englanders that have found it more of a challenge to save money during this problematic economy. We see friends and family that are barely getting by despite living lives of fiscal responsibility. Some have lost their jobs and homes, others have faced daily money challenges because of rising taxes, salaries that have stagnated, and escalating gas and food prices. Yes, areas of New England –especially around the Boston area — do have a high cost of living but people don’t want to leave their wonderful small towns, quaint villages and vibrant big cities. They have family here and know this way of life in New England as the place where roots have been firmly laid. So how does this all relate to travel? Well, some of our friends, as well as us, feel guilty about traveling at all. I know we travel a lot less now and when we do, it’s always with a firm budget in mind. Ultimately, however, I don’t think that you have to feel guilty about traveling — you just have to approach it in a smarter way. You all work hard and deserve some kind of diversion — that is, entertainment, enjoyment and enlightenment. Traveling in New England — or anywhere for that matter — can do that for you! That’s why we have written Visiting New England On a Budget. This is our free gift to you — a blog written straight-from-the heart and with those cheap travel in New England experiences passed right along from us to you. We also have some fine New England folks passing along their budget travel tips, whether it be a neighbor, family member, local Chamber of Commerce, state tourism agency, or small business that has something special to offer. I write often and with a special purpose. Because we stick to a certain budget, our eyes have been opened in regards to free or affordable things to do in the New England region. I know where to buy a lunch for under $2, how to find a hotel that won’t rip you off, what kind of travel attractions reside in our special New England communities, and know of special seasonal events that won’t break the bank. Sometimes after a day trip, we have found that we have spent less than on a typical day at home — you know how those groceries and incidentals can really add up! My goal here is to provide you with the tools and resources to enjoy an affordable New England day trip or vacation, and my vision is to engage like-minded people to contributes their own budget travel ideas on how to travel more and spend less in New England. If you have a cheap New England travel idea or tip, please feel free to email us. If you have a question about budget travel in New England, please ask away and I’ll do my very best to answer you! If I don’t know the answer, I’ll ask someone that might be more familiar with the give subject, and then get back to you. I can barely keep up with the blog — so many ideas to share and so many kind people contributing. It’s the greatest job I’ve ever had, and it’s an honor to serve you. Thanks so much, I promise to write with boundless energy and enthusiasm — as well as professionalism — to help you, the New England traveler! Check back in often as we update frequently. Happy cheap New England travels!